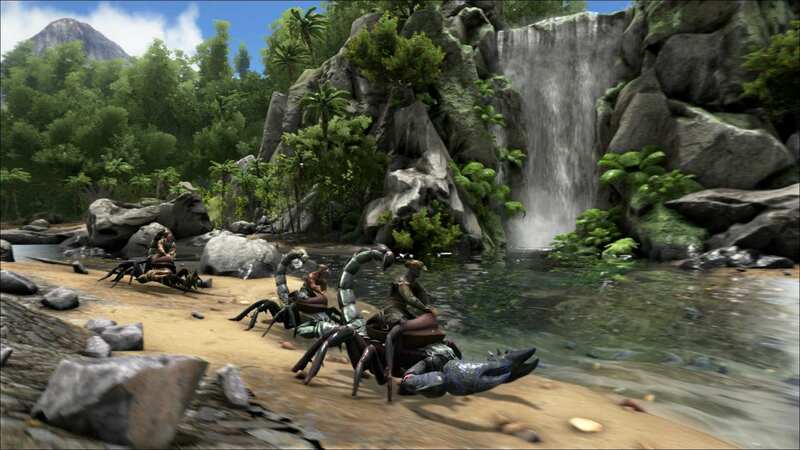 ARK: Survival Evolved – So You Want to Create Your Own Server for PC? Have you always wanted your own ARK server configured how you want and without the restrictions set by somebody else? Here, we’ll show you step by step how to set up a server on a local PC or a dedicated server. Your PC must meet some minimum requirements to host your own ARK server: An i7 desktop processor of the fourth generation (or higher). The server requires 6GB of memory just to start, with more memory used as more players connect. We recommend 16GB of memory installed. You should have a good internet connection with at least 6 Mbit upload speed. Also, you’ll need a 64bit operating system, as the server software is a 64bit program. In this instance, you would rent a Dedicated Server with Windows from a provider. 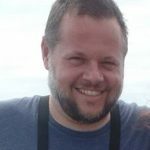 If you have the necessary knowledge, you can buy a server and set it up – but this is not easy. Definitely your server should have at least one Xeon Processor with 4 cores and 16GB of memory. 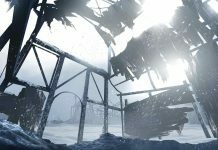 For a possibly not comprehensive list of available hosts, check out the ARK Wiki Dedicated Servers web page. You’ll need to download the SteamCMD Tool. This will allow you to download the server version of ARK and to later install updates to it. Refer to the SteamCMD page for more detailed usage instructions. 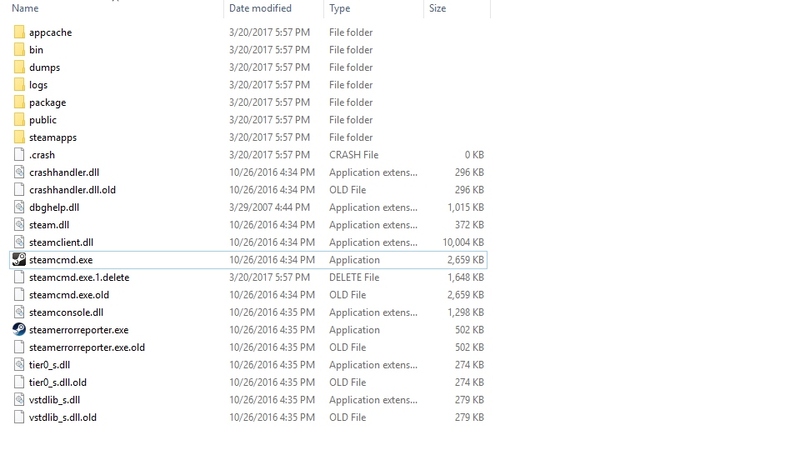 Extract SteamCMD.zip to a folder of your choice, then run SteamCMD.exe. After you run SteamCMD.exe, your directory should look similar to this. 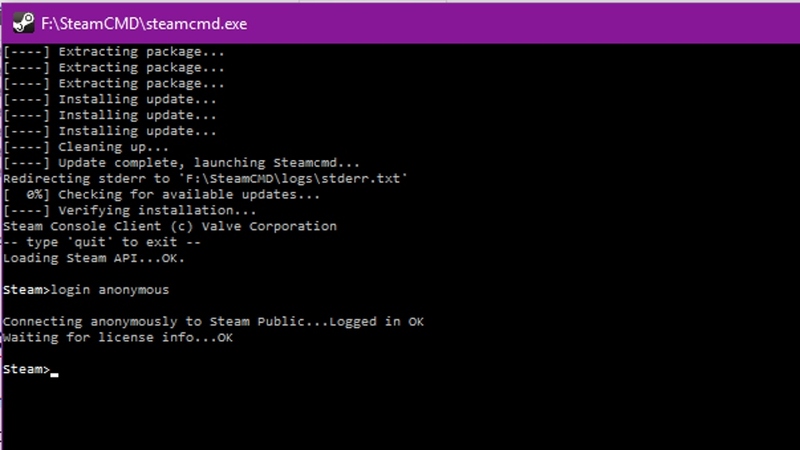 When you run SteamCMD, a command prompt window will appear. Once it is installed, you will see a Steam> prompt. If you receive any error messages, hit enter to ignore. Once the installation is finished, type: login anonymous. 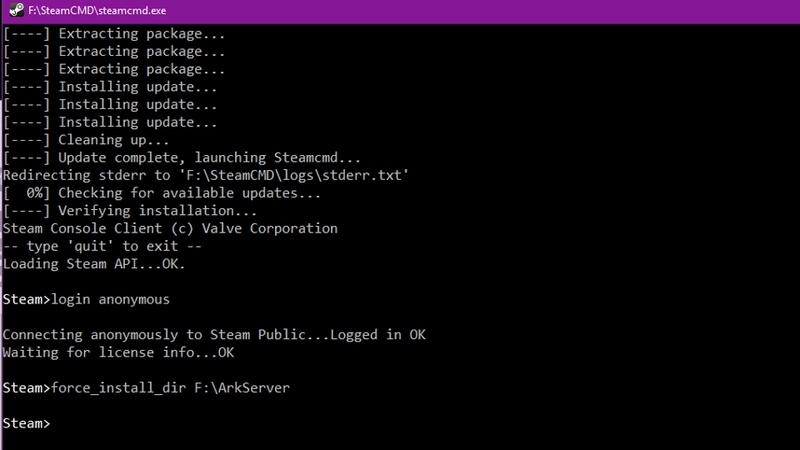 Thus you connect to Steam to download the ARK server data. 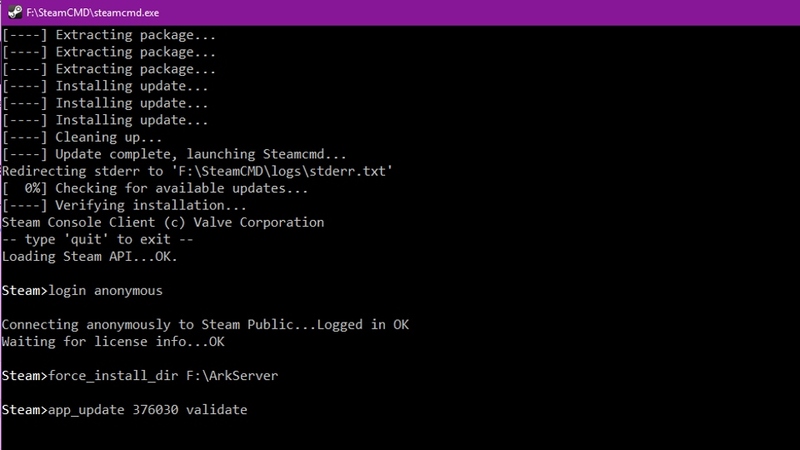 SteamCMD prompt after anonymous login. Create a folder for your ARK server on a drive on which you have at least 15GB of available space. After you have done that, type into the console: force_install_dir <path to the selected folder>. In this instance, the server will be installed to the ArkServer folder on the F:\ drive. You have created the folder where the server is to be installed, and told SteamCMD where to install it. The next step is to download the server. Type app_update 376030 validate into the CMD window. 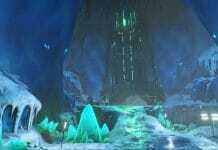 Use app id 376030 for Survival Evolved or use 445400 for Survival of the Fittest. After entering the command, the server begins to download and install. An example with the variables replaced. Make sure the extension is .bat, not .txt. To make sure your server is visible in the ARK Server Browser, you must share a few ports. For your first server, you must share ports 7777, 27015 and 27020. 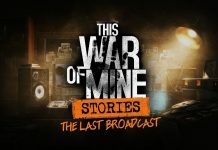 For a rented Dedicated Server, you only need to release these in your firewall, but if installed on your personal PC, you must also have port forwarding enabled on your router. Since there are an enormous number of firewall and router possibilities, you’ll have to Google port forwarding for your router and your firewall to learn how to do this. Finally – you can start your own server. To this end, execute the previously created .bat file. The CMD console should open, running your ARK server. It may take a few minutes to get started. Have fun! If you can’t see your server in the ARK server browser, input your IP followed by the port 27015 in your Steam server list as a favorite. To find your IP address, simply type how do I find my IP address in Google, and your public IP address will be displayed at the top search result. If Steam does not find your server, you may have enabled the ports improperly. Consult the ARK Wiki to see the variety of options you now have to configure your server.